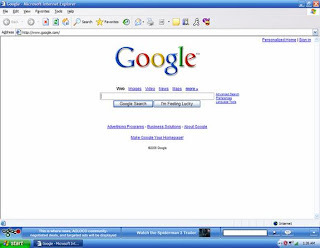 The Viewbar™ is a small toolbar that rests on the bottom of your screen or browser window while you surf the Internet. The Viewbar™ software is what enables AGLOCO to collect the money you are earning while browsing the Internet. The Viewbar™ keeps track of your online interests and preferences, and uses that information to deliver the most valuable message to you at the right time. Because privacy is a core principle of AGLOCO, the Viewbar™ communicates with our secure servers in an encrypted fashion to keep your information private. Some people have asked: “Is the Viewbar™ some kind of ‘spyware’?” The answer is simple: The Viewbar™ is the opposite of spyware. Spyware sneaks onto your computer without your knowledge or permission, it steals your private information, and it’s nearly impossible to remove. Unlike spyware, the Viewbar™ is completely permission based, it keeps your information private, and you can always turn it off with a single click. NOTE: The AGLOCO Viewbar™ is currently in limited beta testing and is not yet available for download. We expect that it will start to be available to download in several weeks. It will be released to Members in the order in which Members signed up. No testers are receiving any earnings while using the Viewbar™ in this testing phase. For now, we ask you to build the community, because both you and AGLOCO make more if you grow the community.